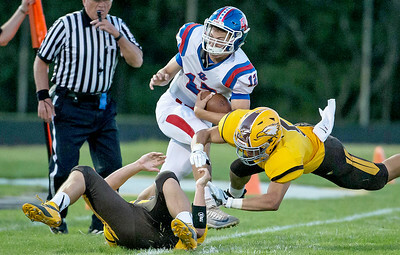 Ken Koontz-For Shaw Media Jacob's Loren Strickland (5) lays a big hit on Dundee-Crown's Conor Ryan (12) September 2, 2016 at Jacob's High School in Algonquin. Jacpb's went on to win the game 14-0. 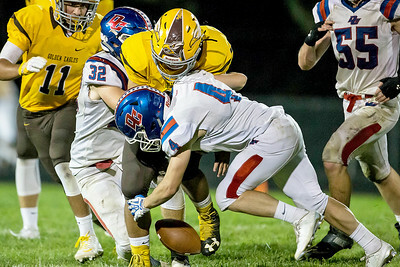 Ken Koontz-For Shaw Media Dundee-Crown's Michael Grant (84) tackles Jacob's David Butros (34) September 2, 2016 at Jacob's High School in Algonquin. Jacpb's went on to win the game 14-0. 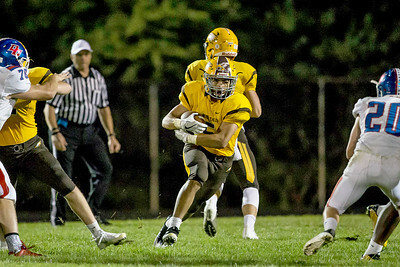 Ken Koontz-For Shaw Media Jacob's Loren Strickland (5) runs up the middle September 2, 2016 at Jacob's High School in Algonquin. Jacpb's went on to win the game 14-0. Ken Koontz-For Shaw Media Dundee-Crown's Johnathan Mays (4) forces a turnover from Jacob's David Butros(34) September 2, 2016 at Jacob's High School in Algonquin. Jacpb's went on to win the game 14-0. 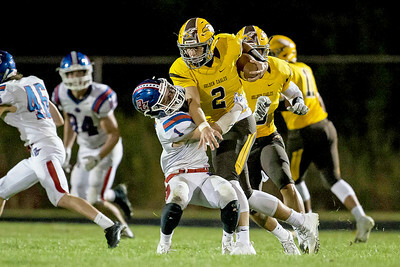 Ken Koontz-For Shaw Media Dundee-Crown's Sean jay (1) tackles Jacob's quarterback Christopher Katrenick (2) September 2, 2016 at Jacob's High School in Algonquin. Jacpb's went on to win the game 14-0. 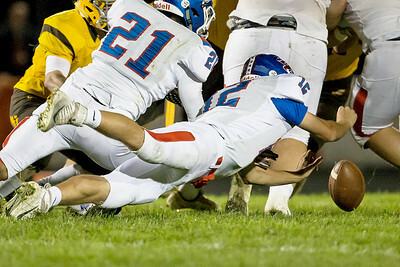 Ken Koontz-For Shaw Media Dundee-Crown's Conor Ryan (12) dives after a fumbled snap September 2, 2016 at Jacob's High School in Algonquin. Jacpb's went on to win the game 14-0. 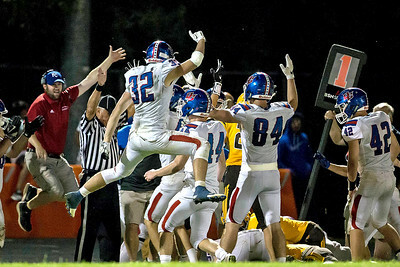 Ken Koontz-For Shaw Media Dundee-Crown=s Remington Stewert (32) and Michael Grant (84) celebrate after recovering an on-side kick September 2, 2016 at Jacob's High School in Algonquin. Too little too late as Jacpb's went on to win the game 14-0. Jacob's Loren Strickland (5) runs up the middle September 2, 2016 at Jacob's High School in Algonquin. Jacpb's went on to win the game 14-0.